Are you looking for that special educational experience for your young learner? Our 1st-2nd Grade programs provide a fun, safe, nurturing environment for your child to discover, explore and learn to their fullest potential. Newly adopted Singapore Math curriculum - students learn number concepts through a variety of manipulative methods including games, hands on discovery and cooperative problem solving. Sherry taught third and fourth grades in the Sebastopol City Schools before 'taking time off' to begin a family with her husband, Curt. She returned to teaching as a Kindergarten teacher at PHCS in the mid 1980s and has gone on to also teach grades K, 1st and 2nd. Sherry is a gifted teacher and finds it a joy to share her love of books and help her students learn to read. Her creative and nurturing personality endears her to her students. Besides teaching, Sherry enjoys spending time with family and friends on RV 'get-aways', beach time, playing games, and, of course, reading. A favorite scripture verse of Sherry's is Psalm 28:7 "The Lord is my strength and my shield; My heart trusts in him"
Sherry is an active member of the Sebastopol Christian Church. Rebecca taught third-sixth-grade communicatively handicapped students in public schools for 10 years before coming to PHCS. She has taught K-1 on Fridays for three years and volunteered in music class, was treasurer for Parent Club and led reading groups last year. 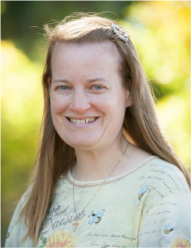 She enjoys being a wife and mother (daughter June Ruth is in 4th grade at PHCS), reading to children, teaching Sunday School, being a part of a ladies Bible study, singing, sending and receiving snail-mail! Her favorite verse is John 3:17 "For God did not send his Son into the world to condemn the world, but to save the world through him." and her favorite hymn is "Victory in Jesus." 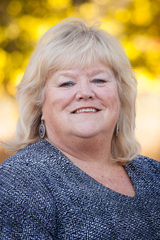 Rebecca is an active member of the Occidental Community Church.